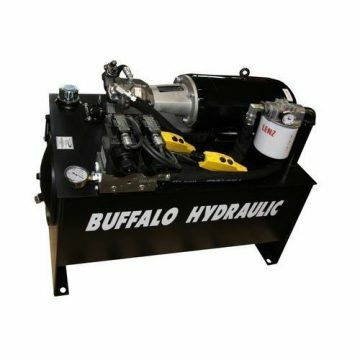 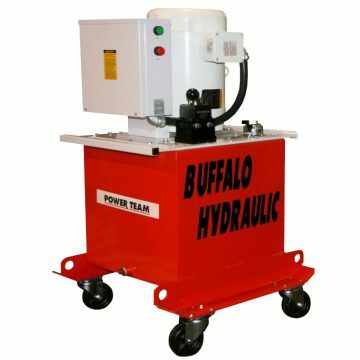 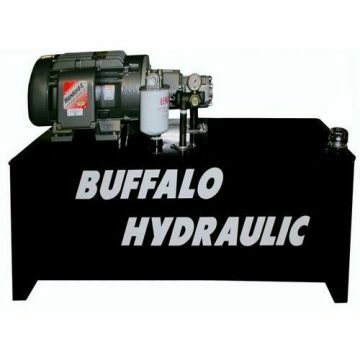 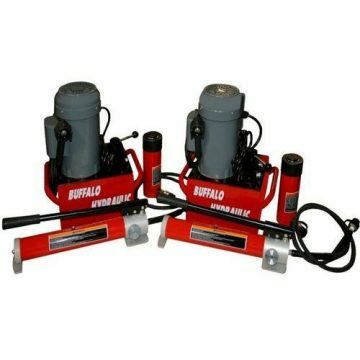 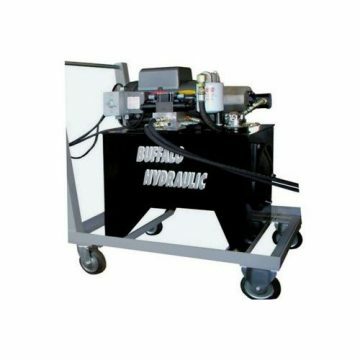 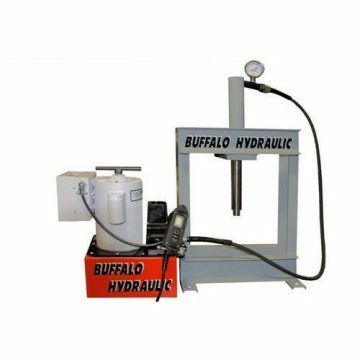 Buffalo Hydraulic BHEHCP-5.0X3-SPL Custom Designed, Pressure Compensated, Electric Pump. 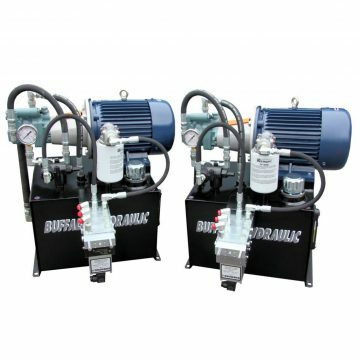 Custom designed, pressure compensated, electric hydraulic pumps. 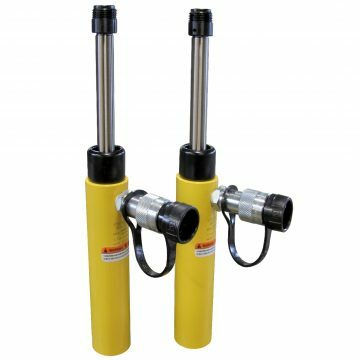 2,500 p.s.i. 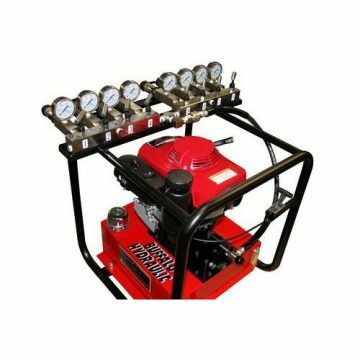 maximum operating pressure. Equipped with (3) Enerpac VP-32 closed center, solenoid valves for independent control. 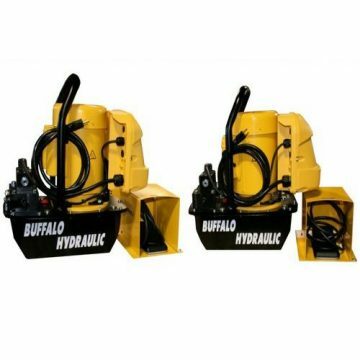 230/460 VAC, 3 Ph., 60 Hz. 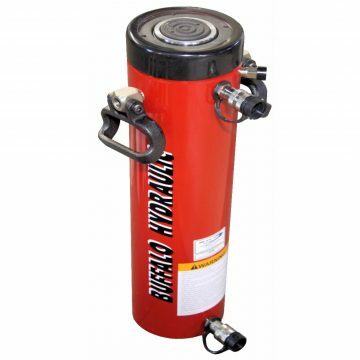 5 gallons useable, steel reservoir with sight/temperature gauge. 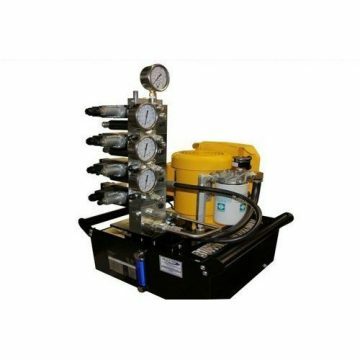 Each unit was designed to provide independent flow/pressure to (3) separate, single acting cylinders. 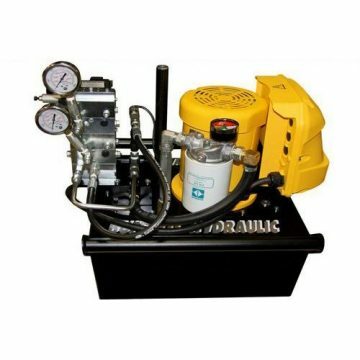 Precise control and a zero leak function was required. 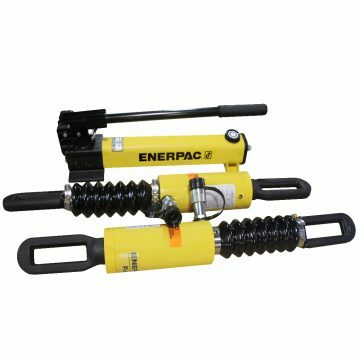 Incorporating Enerpac’s VP – Poppet Series of solenoid valves completed the system function as required. SPX Power Team PE-400 Series Electric Pumps.